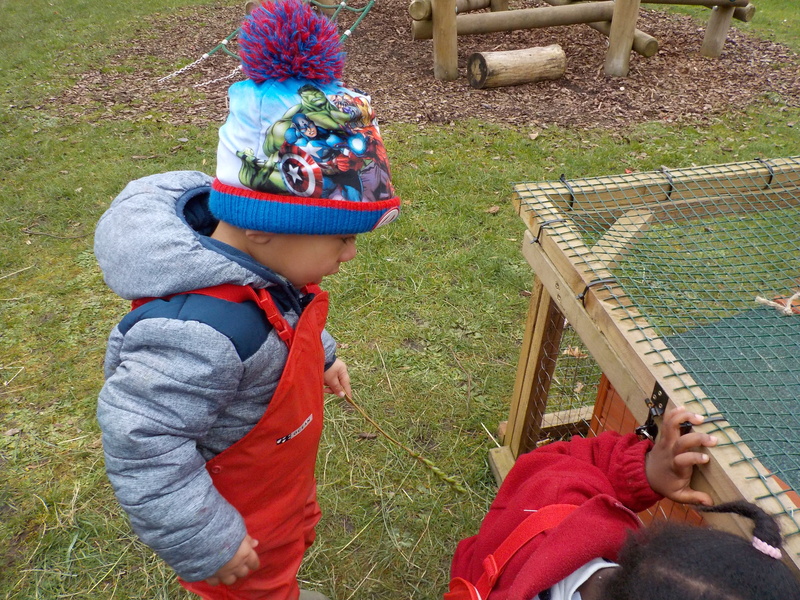 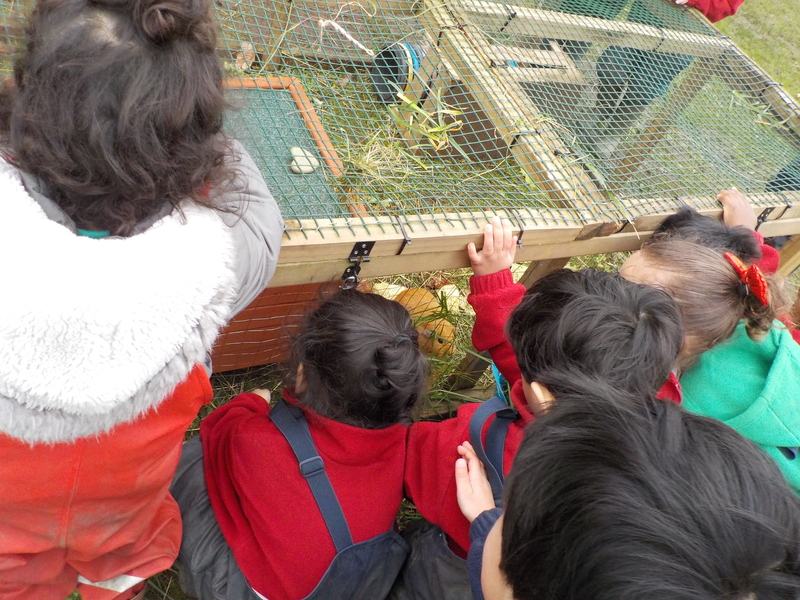 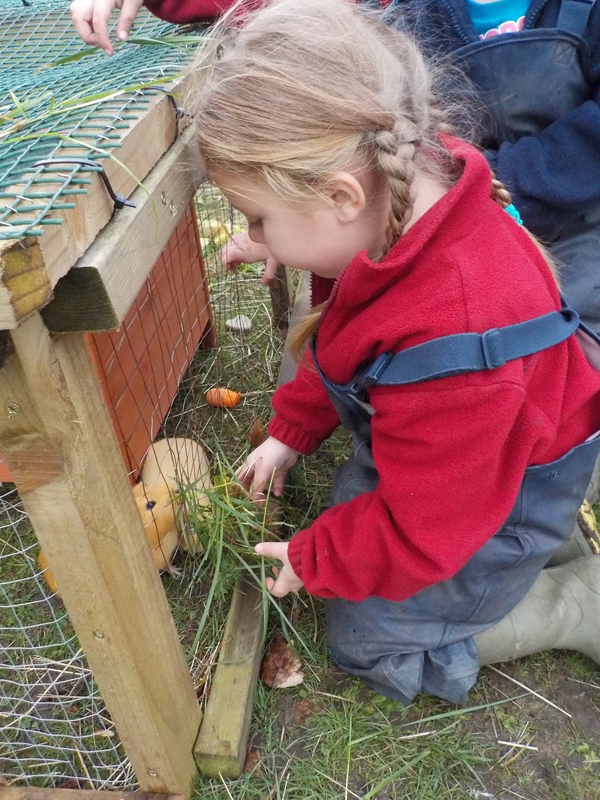 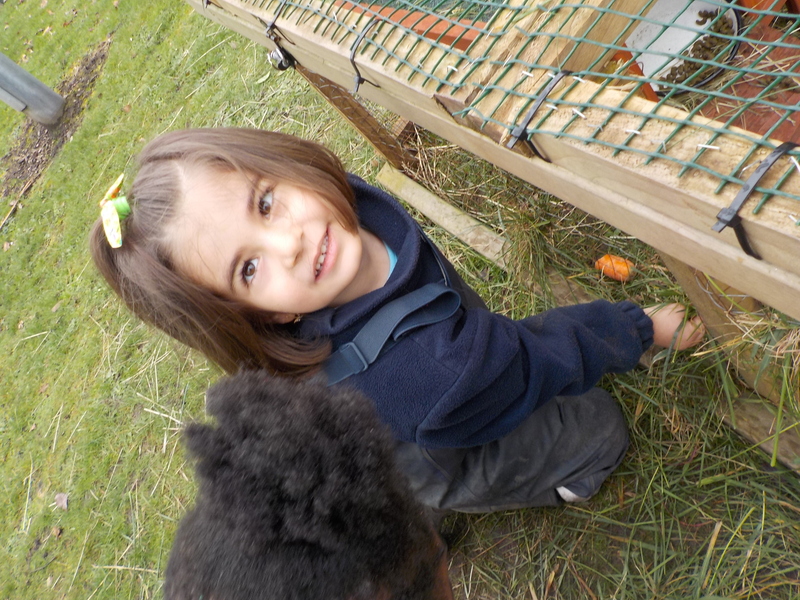 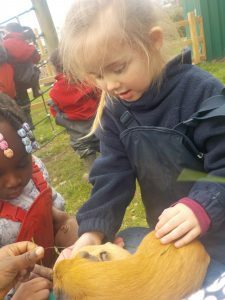 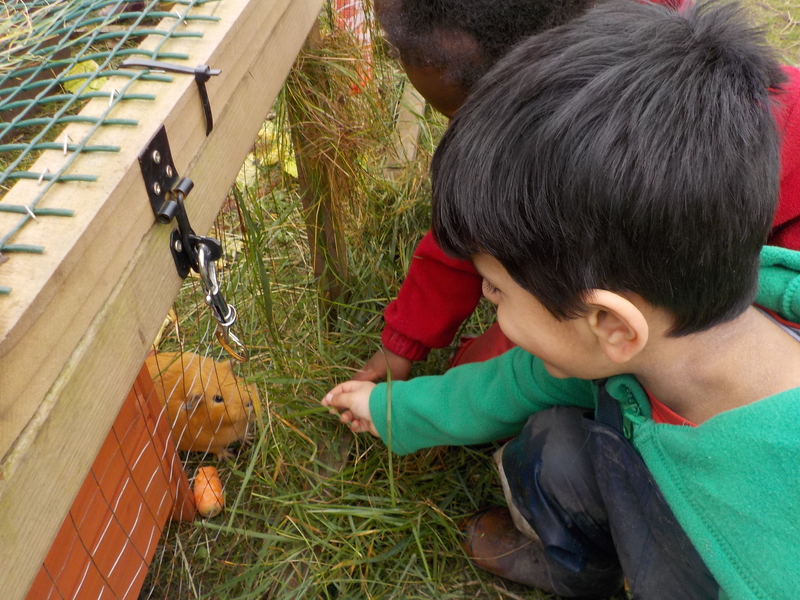 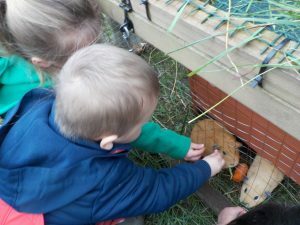 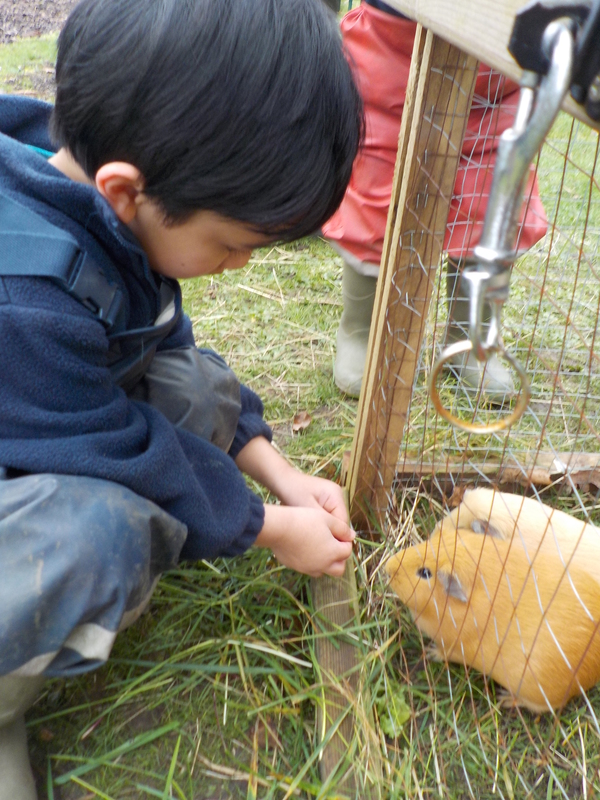 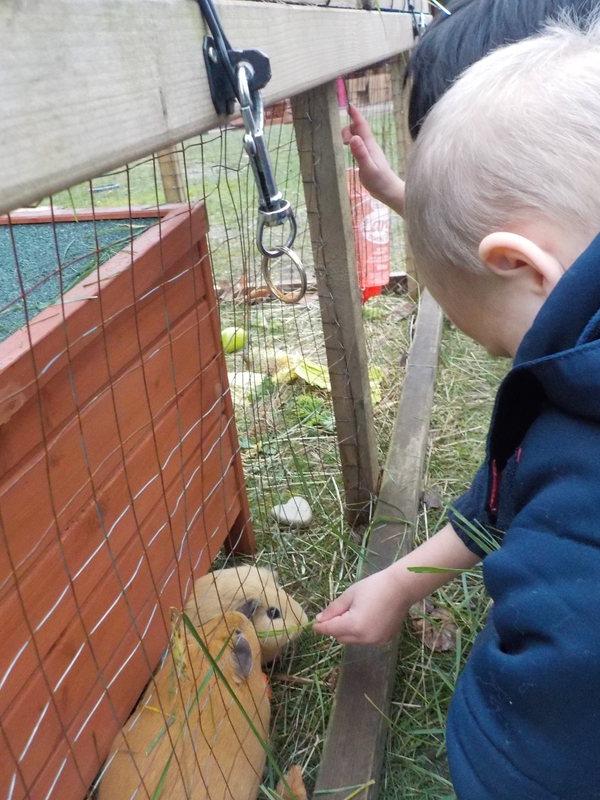 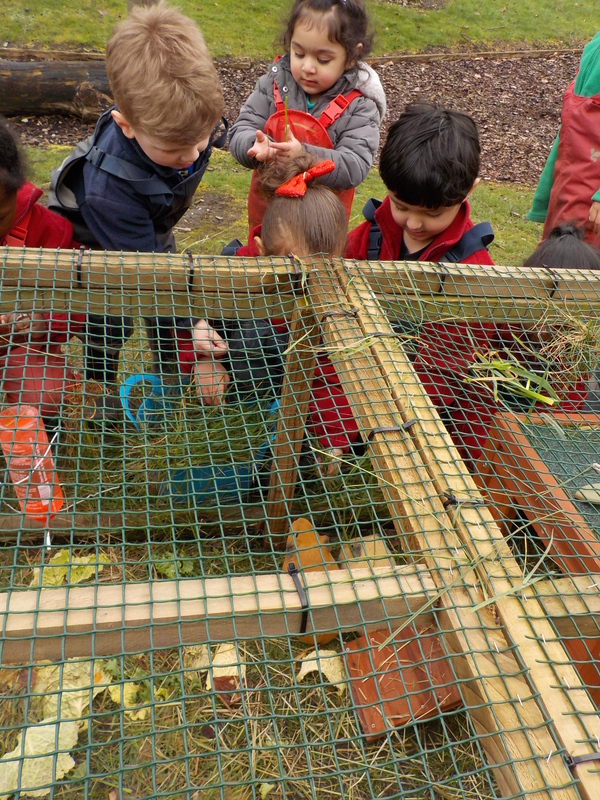 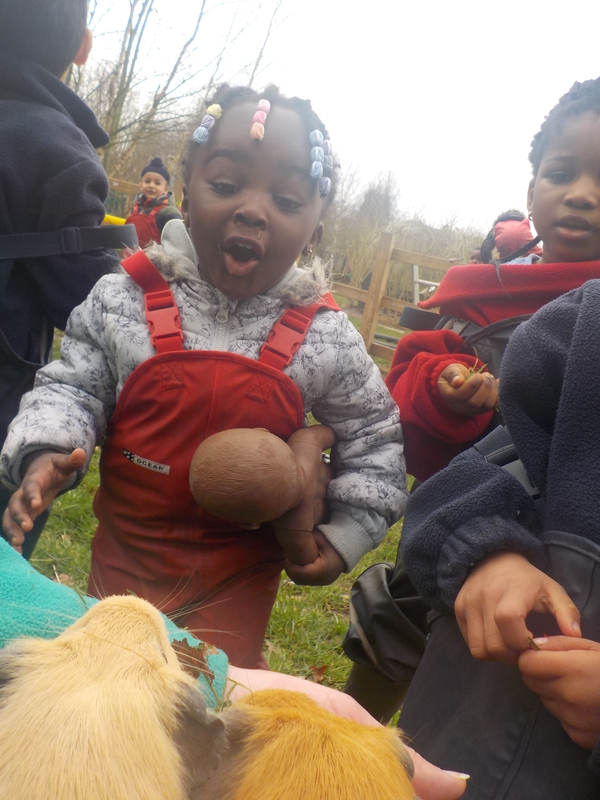 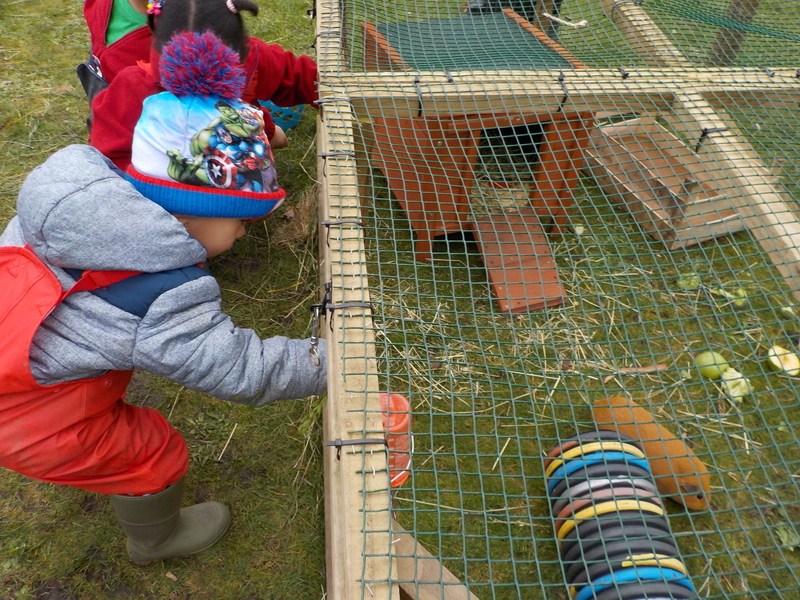 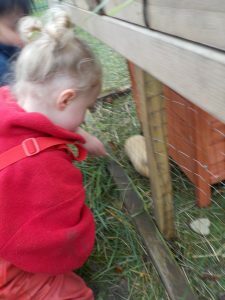 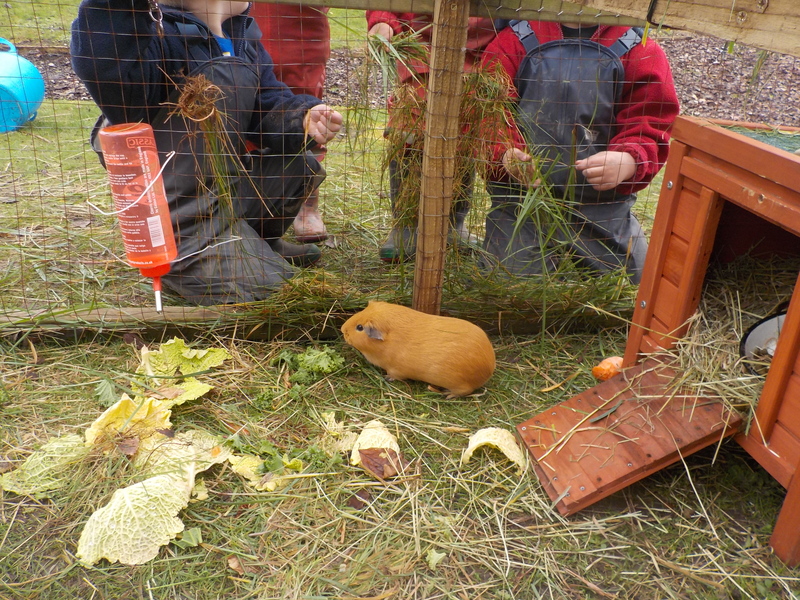 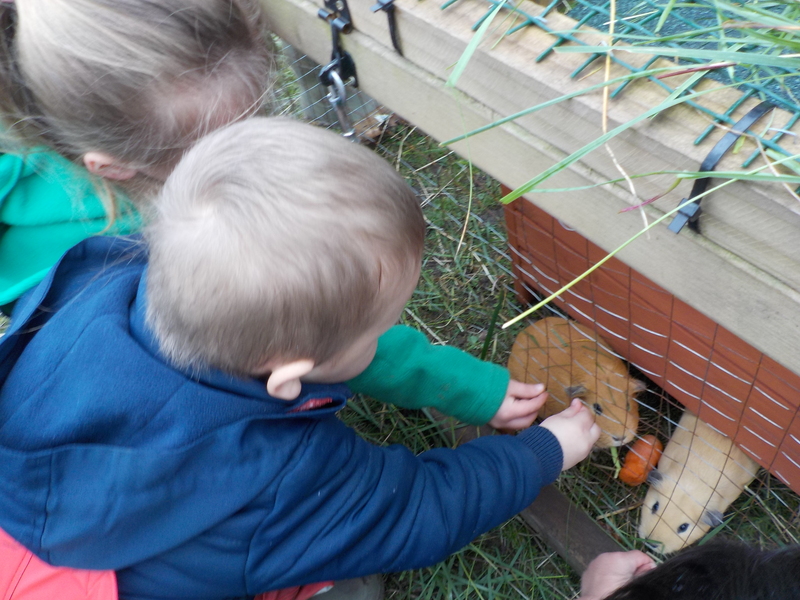 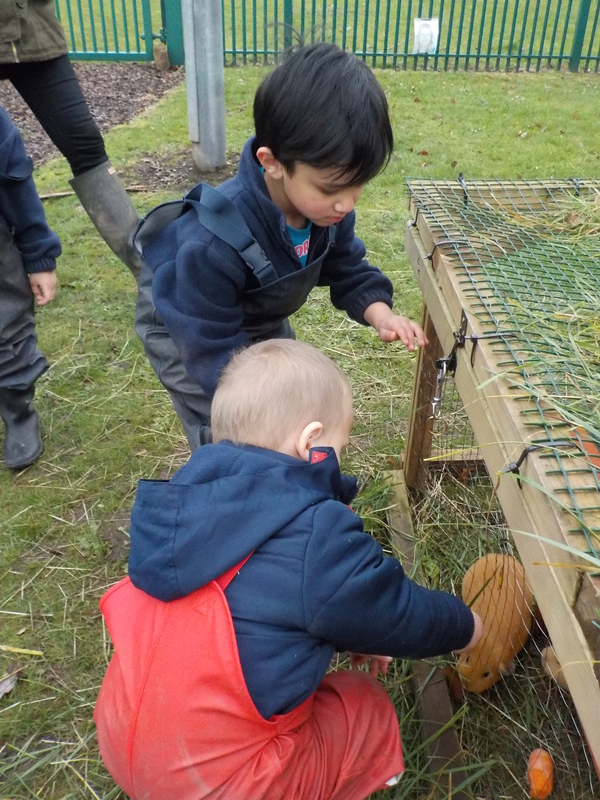 The children love our guinea pigs – Pumpkin and Poppy and are learning so much about how to care for them, what keeps them clean and healthy, how to make sure they are happy. 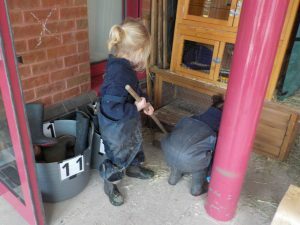 This really helps develop their understanding about what we need to do to look after and care for someone special. 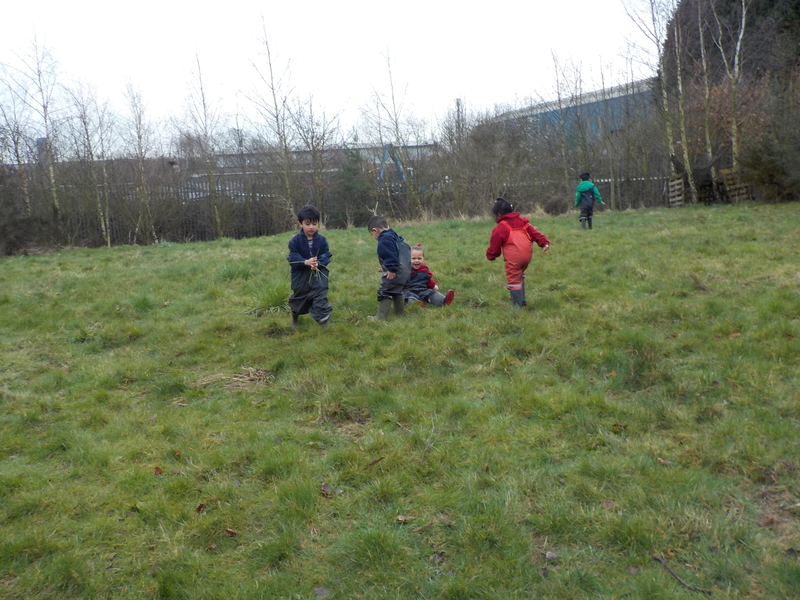 Sharon and the children have found out that they like grass and daisies. 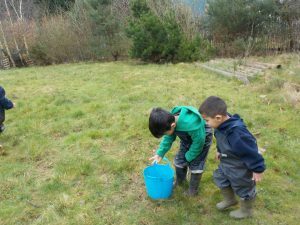 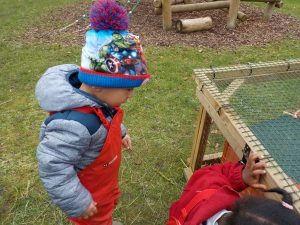 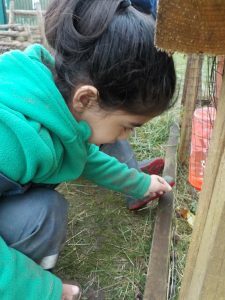 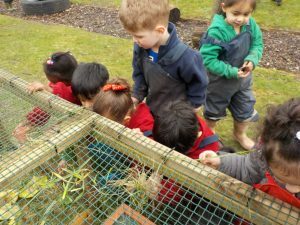 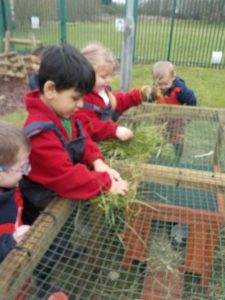 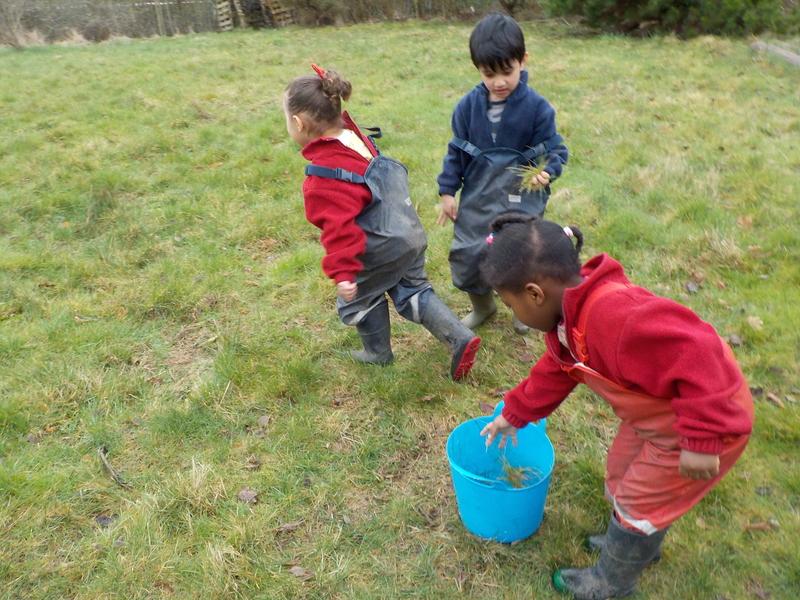 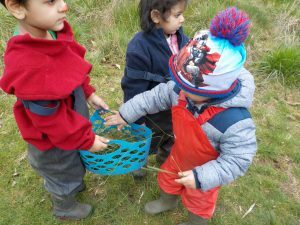 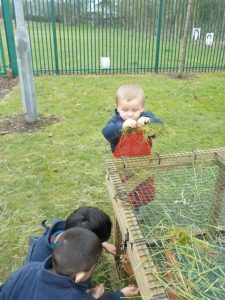 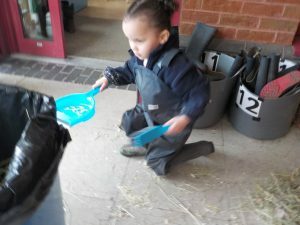 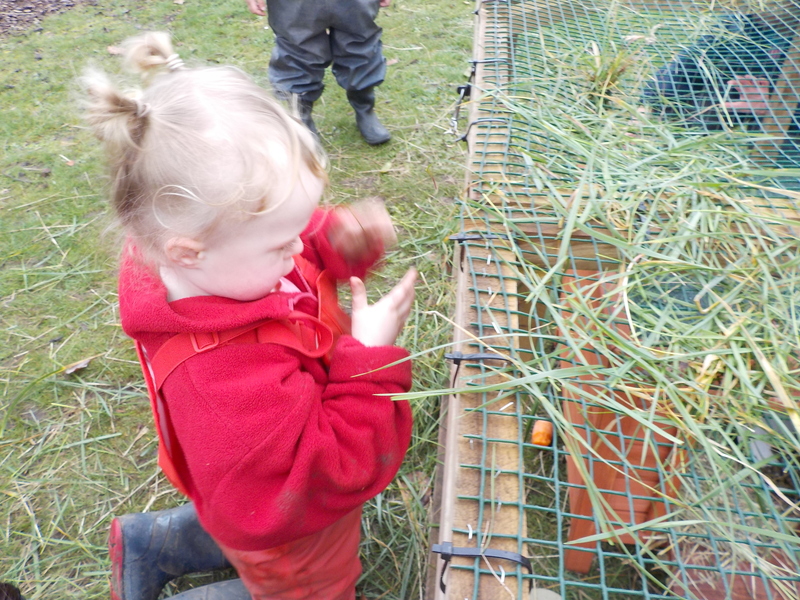 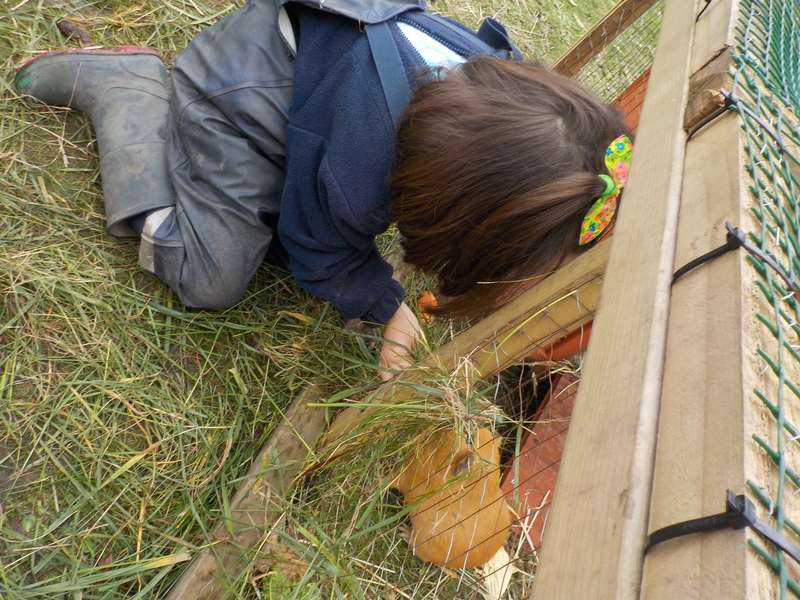 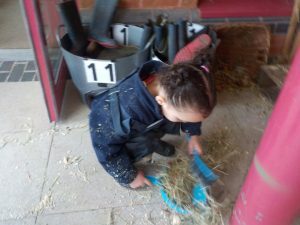 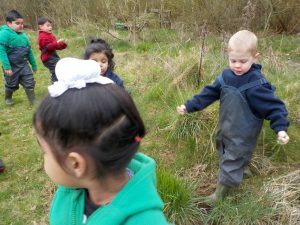 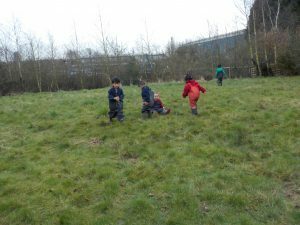 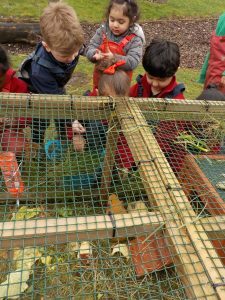 The children have been over to forest school to collect grass to feed them.